Optimum tread dedign for comfort and performance. 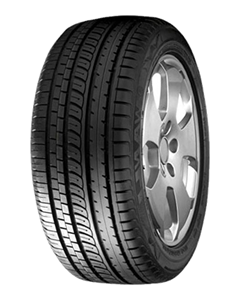 Asymmetrical tread pattern offer superb cornering stability and precision steering response. Fou wide circumferential straight grooves for improved hydroplaning. Different tread patterns featured on either side optimized both wet and dry handing.